This tutorial will make you familiar with basic elements of network building and cable management in Applied Energistics 2. In order to proceed smoothly through this tutorials, you should be familiar with all aspects of unmodded Minecraft, and you should have some basic knowledge about how to get started with Applied Energistics. If you are completely new to Applied Energistics, you should read the “Getting Started” guide first. This tutorial is part of a series on Applied Energistics 2. Matter Energy is the main component of Applied Energistics 2, it’s like a mad scientist version of a Multi-Block chest, and it can revolutionize your storage situation. ME is extremely different then other storage systems in Minecraft, and it might take a little out of the box thinking to get used to; but once you get started vast amounts of storage in tiny space, and multiple access terminals are just the tip of the iceberg of what becomes possible. Each machine, terminal or bus connected to a cable uses up one channel on that cable. You can think of channels as data capacity – if you connect too many machines, terminals or buses to a cable, some of them won’t work because the cable does not have enough capacity to process all their data. All cables except for the dense cable support 8 channels, dense cables support up to 32 channels. You can find an in-depth explanation of how channels work on the official wiki. A network is the total sum of all cables, buses and machines that are connected to each other. Power is distributed without a loss throughout all cables and machines of the network, and each network needs at least one power supply. For each network, there can be only one single controller. An ad-hoc network is a small network consisting of eight or less connected devices. They do not require a controller, but you do need to provide it with an energy supply. If there are more than eight devices connected to the network, it will shut down entirely. In that case, in order for the network to function again you will need to remove devices until there are only a maximum number of eight devices connected. Before we focus our attention on the cables, we should take a look at the Applied Energistics terminal interface first. 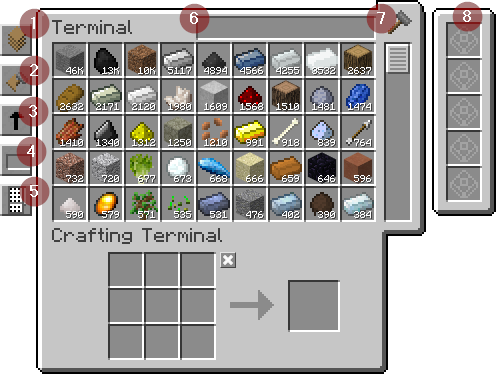 Pictured below is a crafting terminal. Its difference from the regular terminal is that it includes a crafting area. The crafting area works pretty much like a regular crafting table, but with one big difference: The ingredients for the crafting recipe are not sourced from your player inventory, but from the connected storage discs and inventories instead. This means that if you Shift-Leftclick the recipe result field in order to produce a stack of the desired item, the ingredients for that recipe will never be taken out of your player inventory, and instead will always be taken out of the AE network. That way, you can easily produce hundreds or even thousands of items just with a few clicks. and all items in inventories which have been connected to the network with an ME Storage Bus. This button allows you to display or hide stored items, craftable items, or both. “Craftable items” refers to crafting recipes stored in an AE autocrafting system (which will be introduced in a separate guide). Pretty much self-explanatory: Allows you to determine the sorting direction of the items in the main window. This button allows you to toggle the search mode for the search box marked with the number (6). The mode “Standard Search” will just use the search box of the AE interface to list the items in your network. The “NEI Synchronized Auto” mode will synchronize the Applied Energistics terminal search box with the NEI search box at the bottom of your inventory, so if you enter something in either search box, it will automatically appear in the other one as well. The mode “NEI Synchronized Standard” will only synchronize both search boxes if you enter text into the AE interface search box, but not the other way around. If you have the mode “Auto Search” selected, you can immediately start typing the moment you right-click on the interface, without having to click on the interface search bar first. I have no idea what this button does. If you know, please write a comment. This is where you enter the name of whatever you want to find in your network. Click this button to show the status of your current crafting orders. Since this Menu element is related to autocrafting, we will be discussing it in a separate guide. This is where you can place View Cells in order to limit the items being displayed in the main area to a predetermined set. Finally, the cables. There are four different cable types, all of which are available in 16 different colors (17, if you count the uncolored standard version). Colored cables only connect to uncolored standard cables, and cables of their own color. Glass cables are your entry ticket into the world of Applied Energistics cable management. They are easy to craft and also serve as a crafting ingredient for the other three cable types. 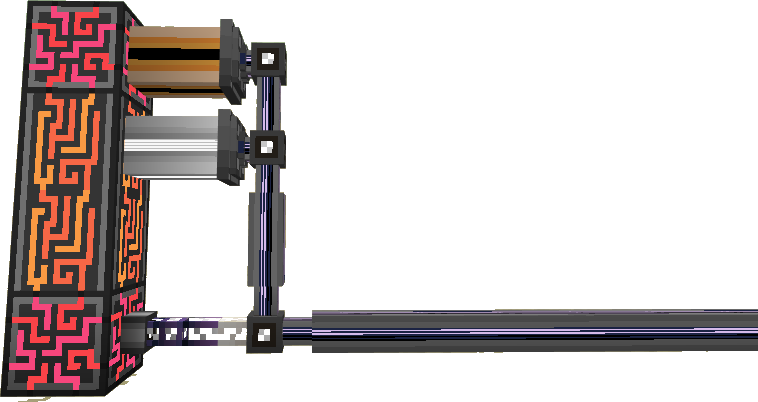 One glass cable can support up to eight channels. Note that you can use Certus Quartz Dust or Nether Quartz Dust interchangeably for crafting the cables. The covered cable is functionally identical to the glass cable. It supports up to eight channels and is used as a crafting ingredient for the dense cable and the smart cable. It’s a good alternative if you don’t like the look of the glass cables, but it might make more sense to just skip them and use smart cables right away. Like glass cables and covered cables, smart cables can support up to eight channels. The number of used channels is indicated on the cable itself: up to four channels are represented with a simple line, five and more channels are indicated with glowing glowing lines. This is extremely useful if you are wiring up machines, or if are trying to automate a complex item processing chain. This is why I strongly encourage you to wire up your machines using smart cables only, if you have enough wool, redstone and glowstone in storage. Dense cables have a total capacity of 32 channels and like smart cables, they visually indicate the channel usage on the cable. Since dense cables occupy one entire block, however, you cannot directly connect them to buses, and you also cannot attach terminals to them. 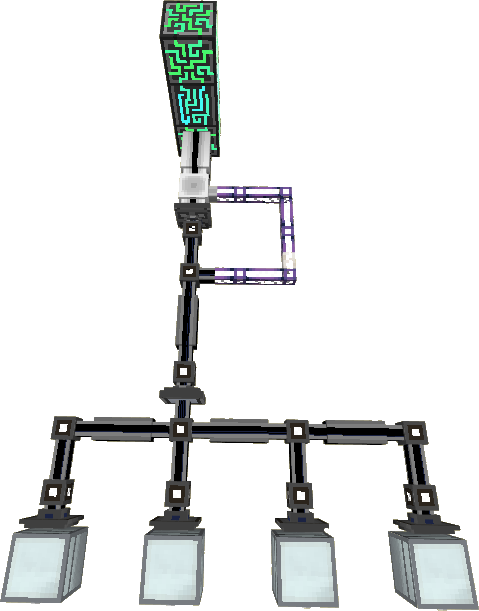 Their main purpose is to bundle the channels of several cables into one single dense one which can then be connected to a controller. They require a lot of string or wool to craft, so unless you have an automated farm for that, you should only use them sparingly. P2P tunnels are the key to successful cable management. As their name suggests, they create a tunnel between two points which can transmit up to 32 channels in between. In order for the P2P tunnel to work, the network with the channels that are to be transported must not be physically connected to the network through which they are transported. Each end point uses up one channel on the transport network. So if you have only two P2P end points, you need two free channels on the transport network. Note that you cannot recursively nest one P2P connection in another. You can have several separate P2P connections in one single cable, but you cannot route one P2P connection through another. When you place a P2P tunnel on an AE cable, the output/input side of the tunnel connection will always face towards you – with one single exception: if you place a P2P tunnel on a dense cable, the output/input side will always towards the dense cable. If the area is unlit, it means that the tunnel is not connected to a network, or that the network it is connected to does not have enough energy to run. A bright (usually red) light indicates that the tunnel cannot be activated because not enough free channels are available on the cable it is connected to. A light of the same color as the channel-indicating lines (see the left tunnel on the screenshot above) on the smart cable indicates that the tunnel is properly connected. The WAILA (What Am I Looking At) mod, which is a standard mod featured in almost all mod packs such as TPPI2, can also indicate whether or not the tunnel is properly connected. The channels need to go into the white input/output side of the P2P tunnel. Since there is no way to discern one P2P Tunnel from another, you should use colored cables on both ends to mark which connection begins and ends where. 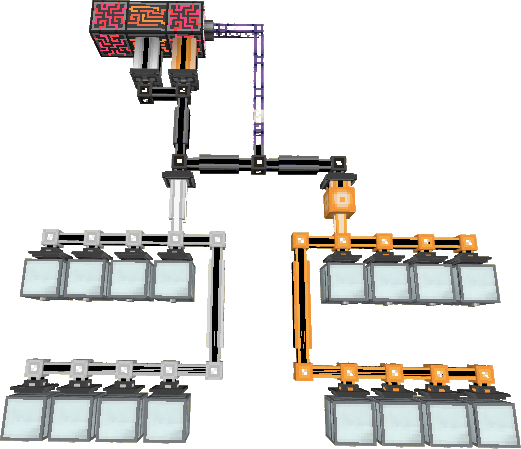 As you can see in the screenshot below, there is also one other reason for using colored cables for P2P connections: you can place the dense cables connecting to the controller in a very compact manner, since cables of different colors do not connect. The P2P-carrying cable now needs an energy supply, so place a quartz fiber on it and connect that either to the network controller itself, another AE network that is already powered, or an energy acceptor. In order to link the P2P connections, we need a memory card. 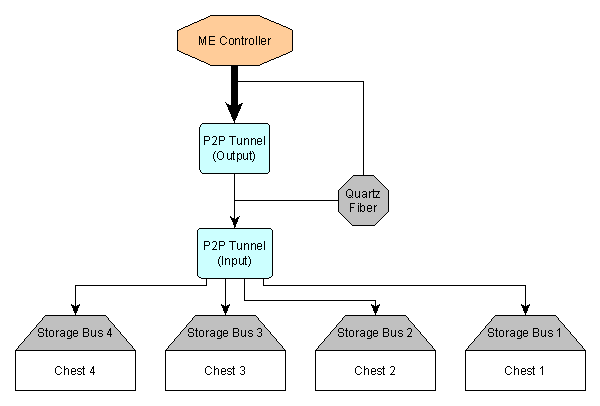 Equip the memory card, then perform a shift-rightclick on the P2P Tunnel at your ME controller. The message “Successfully saved settings.” will show in your chat bar if you have done this correctly. We will refer to this first P2P tunnel as the “output” from here on. Now go to the P2P tunnels which you want to connect to the output, and perform a simple rightclick with the memory card on them. If you did the first step correctly, the message “Successfully loaded settings.” will show up in the chat. If you see the message “Invalid machine.” instead, it either means that the memory card is not linked to an output tunnel yet, or that you clicked on the wrong block. 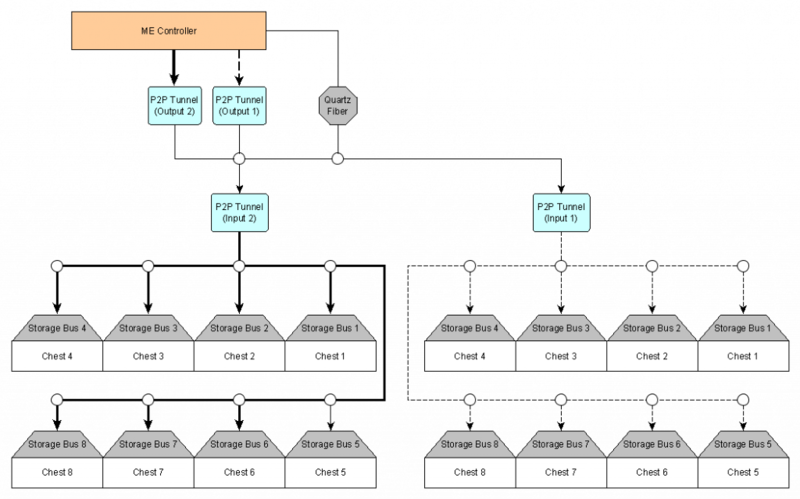 In the diagram below, we are tunneling four channels from the storage buses through a simple P2P connection. The glass cables that connect to the quartz fiber provide the transport network with energy. This is a very basic example of one of the simplest setups; we can do better than that. The upper limit of how many channels you can tunnel is determined by the cable connected to the output tunnel. So if you have connected a dense cable to the output tunnel, you could link 32 input tunnels with one channel each, or 4 input tunnels with 8 channels, or one tunnel with 8 channels and 24 tunnels with one channel each … I think the limits are pretty much clear. However, once you reach the maximum capacity of 32 channels on an output tunnel, you will have to use additional output tunnels if you want to expand your network. This is where colored dense cables come in handy: When using two separate tunnel outputs, you want their output cables to connect to the controller, not each other. On the sample network in the diagram below, we are tunneling two separate connections through the same network (disregard the white circles, they’re there to keep things pretty). 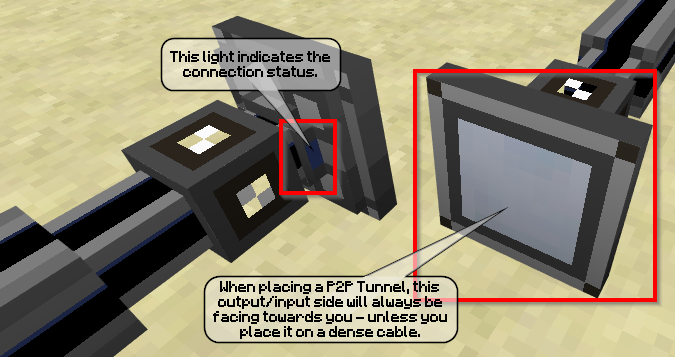 In order to link the P2P tunnels, you first have to shift-rightclick the tunnel for output 1, then the tunnel for input 1. For the second the second tunneling connection, you have to shift-rightclick the tunnel for output 2, then the tunnel for input 2. As you can see in the screenshot below, the colored cables indicate which tunnels are supposed to connect. Keep in mind that you cannot nest P2P connections within one another, keep an eye on the coloring, and you will be good to go! In our next tutorial, we will take a look at storage solutions. Is your storage solution tutorial available? This has been the most helpful AE2 tutorial I have yet to find on the internet. Thanks. Part 3 is now available here!